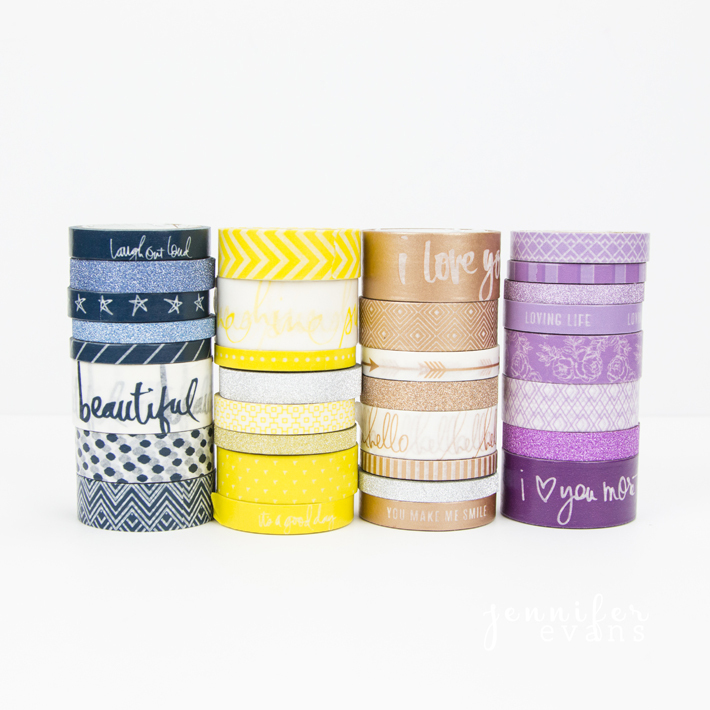 When I added the new Heidi Swapp washi tape rolls to the others in my collection, I knew instantly I had a problem. There was no room in my studio for them any more! When I was telling my sister about my problem, she told me she could help me find a solution! This solution included a wall makeover in my studio, but seeing it all finished I am so happy with the results! 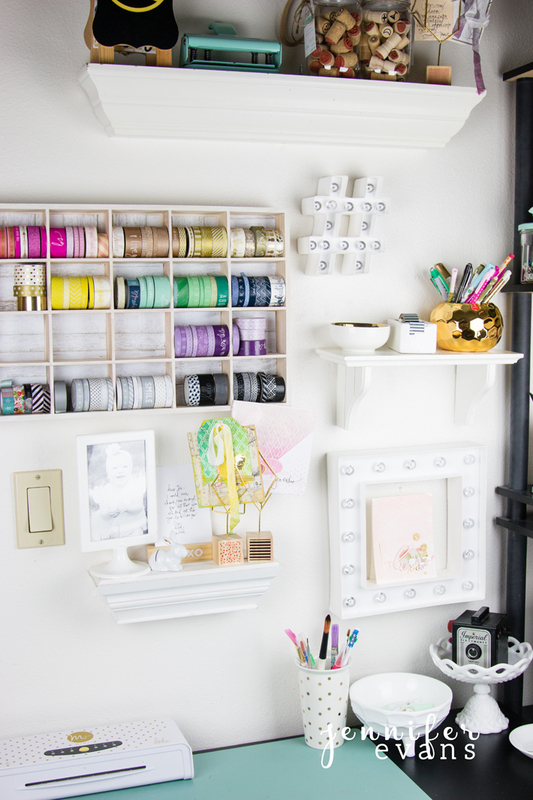 My craft space is limited with this wall, desk, and storage to the right of it. Even though I love for this space to be "pretty" it also needs to be functional. I also rent, which limited me to any sort of large "remodel." 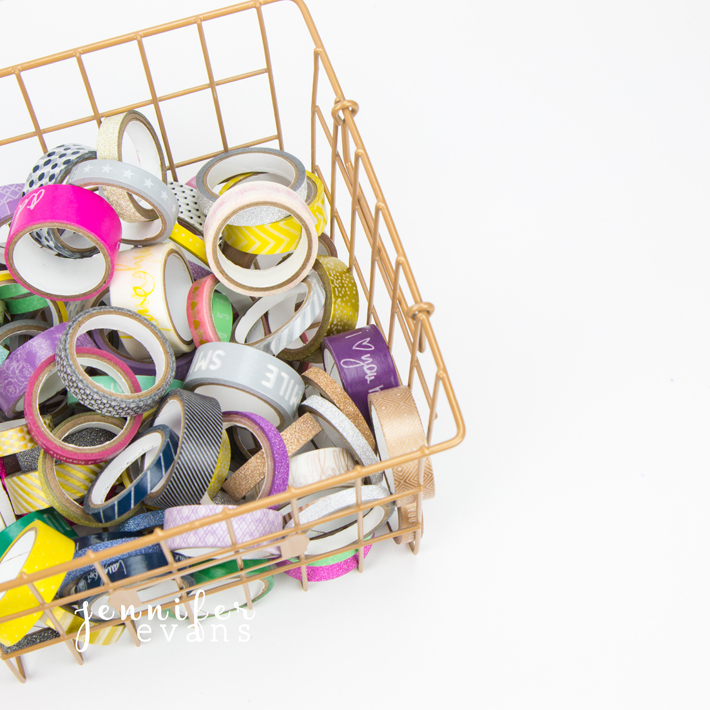 Heidi Swapp's washi tape sets come with eight rolls of tape, so as you can imagine, with a small crafting space, storing these where I can see and use them often was quite the challenge. I had them in a basket but honestly, as you can see from my desk, there isn't much room to keep something so big. 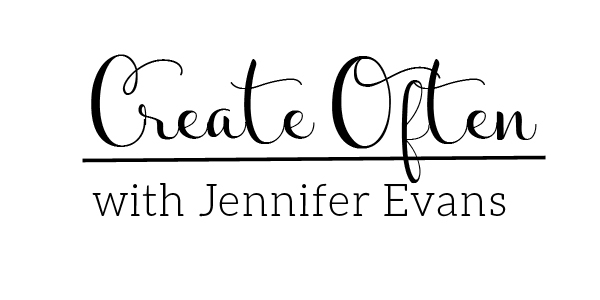 So, I headed to my local Craft Warehouse store to look to see what I could find on a budget because I really didn't want to spend a lot on craft storage when I could use my spending money on craft supplies instead. Ha! My sister and I looked at all the home decor, seasonal, and even scrapbooking for storage but we didn't see anything that would work. Until, we saw this unfinished piece that reminded me of a printers tray but deeper. 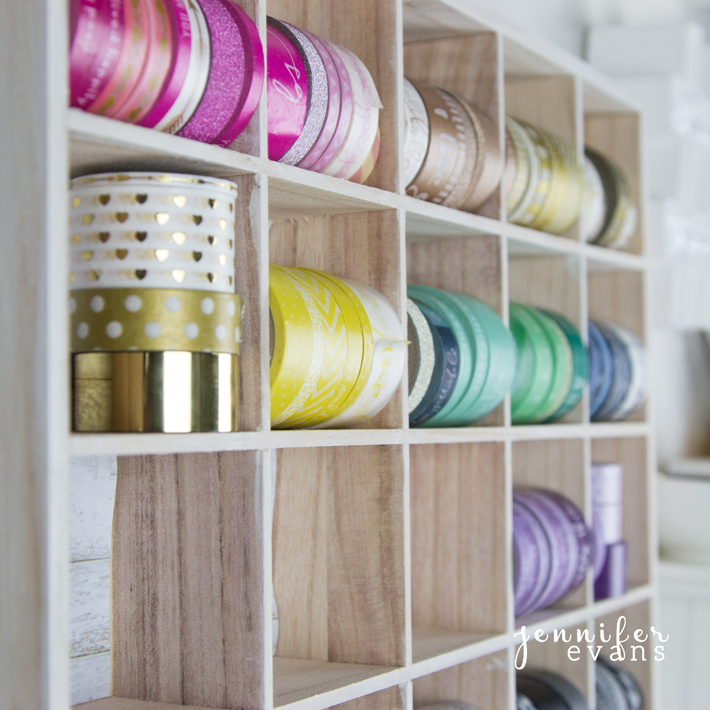 I have seen these everywhere in hard crafts with the unfinished wood, but never really thought it would make good washi storage. To make sure the rolls would fit Becca, my twin sister, walked over to scrapbooking to "test it out" with some washi rolls in the department. Sure enough it was a great fit! So on sale, I purchased this piece for under $10! I new I wanted to white wash the wood for a distressed look. 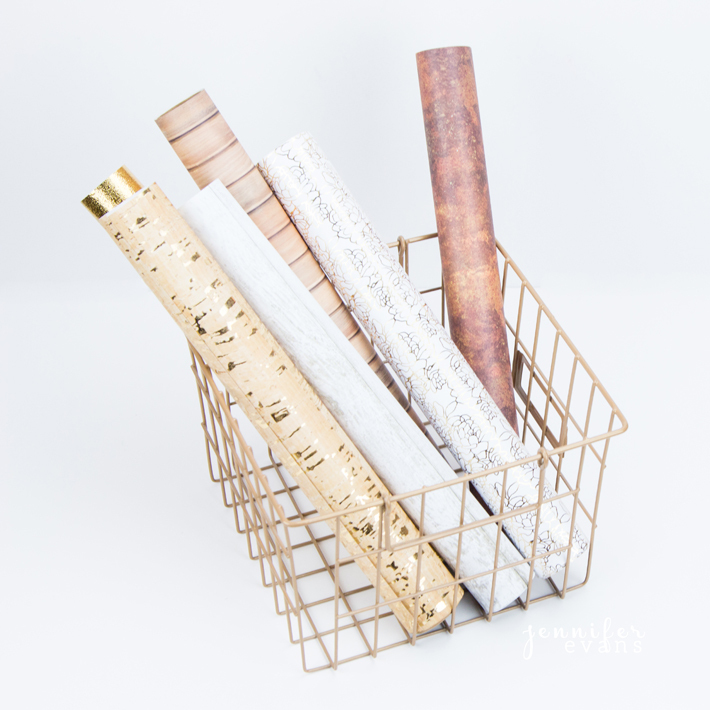 I also wanted to use Heidi Swapp's new large paper rolls. I cut the white washed paper to size and glued it to the back of each square. When the entire piece was dry, I prepared my wall. 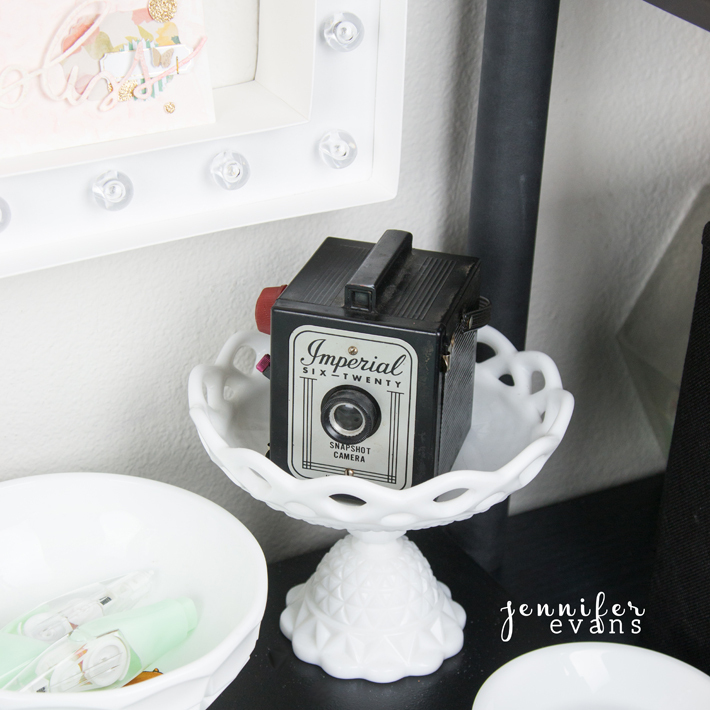 I literally took everything down that was originally on my wall and redesigned the gallery wall around this washi tape holder! Ha! I literally laid a tarp over my desk and supplies and filled all the holes in the wall and painted it with a fresh coat of paint! Instead of piercing holes through my white wall again, I hung the washi tape storage and marquee with Command Strips (I used the hooks and picture hangers that I found at Costco). I re-anchored the shelves and hung those next. My white shelving I purchase from thrift stores like Goodwill because the price of them can add up when doing a gallery wall! If they are a little scuffed up, I give them a fresh coat of paint. 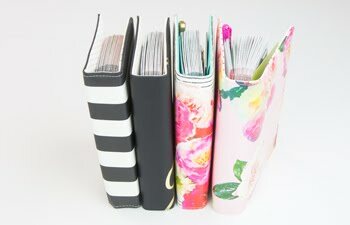 I don't worry about perfection and don't mind if they are a little "distressed" around the edges. I also don't mind that the sides of the storage are not painted because eventually the storage will be filled and I won't see the sides at all, right? I am have enjoyed seeing how this space is coming together and I can't wait to decorate these Heidi Swapp marquee shapes to finish the look! 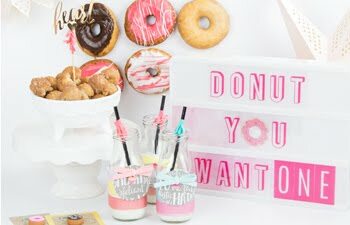 Create Often: Think outside the box for your craft storage needs! Find a container that works for you and build a wall around it. Jen - love this! Thanks for sharing. 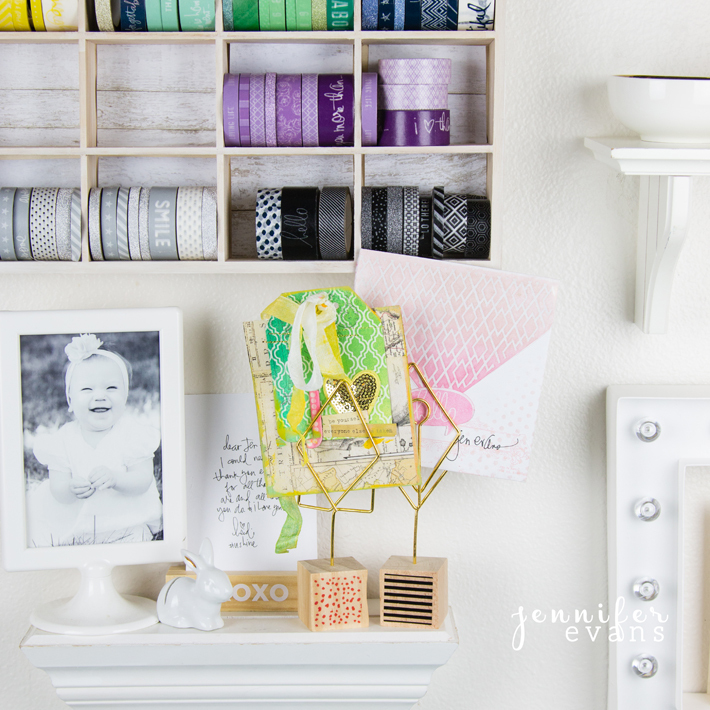 How many command hooks did you use for the washi holder?